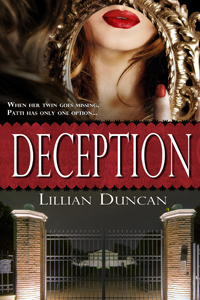 Deception by Lillian Duncan is bound to be my next read! I’m that intrigued and SO GLAD I set up this interview with her! First, I LOVE the cover. So stinking cool. Second, it’s about identical twins, just like my dinky twinkies! Sold! 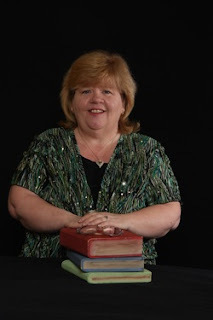 I “met” Lillian through a group of authors and blogger who support each called Grace and Faith Author Connection. They can be found on Facebook and Twitter, and all of their links are available at their WEBSITE. I have to tell you, I’m loving these interviews more and more! Not only do I get to know the different folks involved better, but I get a first hand look into their books. So if you have a book – especially a new one or one coming out soon, contact me to host you on my blog! My email is at the top left just under the picture of my family. Marji – This book gets me all excited, but before starting in on it, I have to ask, what inspired you to become a writer in the first place? Lillian – When I was bored or driving or doing nothing, I would make up stories with these characters in my head. Sounds kind of spooky but….anyway it wasn’t until I was 40 that I realized those stories weren’t supposed to stay in my head but I was supposed to put then on the paper. So I did. Marji – There’s nothing spooky about that. I always loved doing the late night drive when we visited family in Oklahoma. The clouds and the moon and the flat rural land inspired the tar out of me! So what is your ultimate goal for writing in general? Lillian – Of course, every writer wants to make a million dollars and have a movie made from their book. But other than that I want to write entertaining stories that will send readers on a spiritual quest of their own. Marji – I could use a million dollars – Lol! I love the way you put that! A spiritual quest – Cool! How does this book satisfy that goal? Lillian – Everyone who reads it tells me they couldn’t put it down. So, I think I did it with DECEPTION. Marji – The temptation of this Deception gets better and better. What inspired this particular story? Lillian – The underlying spiritual theme of the story is about not waiting to forgive someone but doing it now because we don’t know what will happen in the future. And we might miss the opportunity if we wait too long. This was a hard lesson I learned when a dear friend of mine passed away unexpectedly. The other thing I love with this story was writing in Jamie’s daughter. She has a few speech and language issues and being a Speech Pathologist, it was a lot of fun for me to write this character. Marji – I love to visualize the characters as I read. What actors might play your main characters if they made a movie of this? Lillian – I’m thinking Matthew McConaughey for the male lead and Sandra Bullock for Patti/Jamie. Marji – Oh those are two of my favorites. What’s a lasting line from your novel, something that will stay with the reader? Lillian – Nothing comes to mind as far as words. But I’ve got a visual for you. The book makes reference to a Picasso painting—The Girl In The Mirror. It symbolizes Jamie and Patti’s relationship. Marji – I’m no artist, and I couldn’t begin to explain anything Picasso, but I do think its intriguing how the reflection is decidedly darker than the original. Interesting … So what about you? How does writing fit into your regular day-in-the-life? Lillian – Being older and with no children in the house makes a huge difference. I’m able to write as much as I want as long as I save time for my husband. On workdays, I write an hour or two after dinner. On my at-home days, I will write 3-4 hours minimum. On Sundays, I rest unless my hubby takes a nap and then I might wander to the computer for an hour or so. When people ask me this they are shocked at the amount of time but I love what I do so the time flies by. It’s not work at all—at least, not most days. Marji – I know what you mean by that. One of my favorite quotes is “Find a joy you love and you’ll never work a day in your life.” I had no idea that Confucius said it. It still rings true with me! And I so appreciate you being part of Faith-Driven Fiction! Here’s the trailer for both Deception and her earlier book, Pursued. You can find Lillian at her blog: http://lillianduncan.wordpress.com/ where you can also find the prologue that was cut from Deception. She’s been a speech-language pathologist for over thirty years. Most of those years were in the Cleveland Municipal School district where she worked primarily with deaf and hard-of-hearing students. As a writer, speech pathologist, and an educator, she believes in the power of words to change lives, especially God’s Word. Deception is available at Christianbook.com, Amazon, and Barnes & Noble. Categories: Author | Tags: interview | Permalink. Intriguing interview!And the book sounds like a good one. Goodness, my TBR pile is going to avalanche.